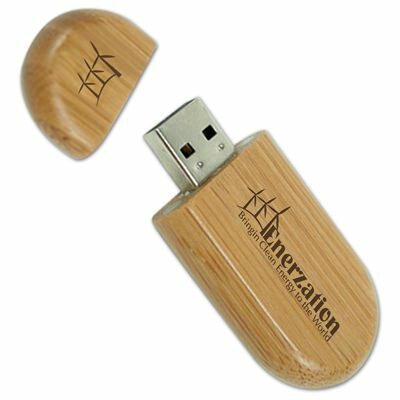 "The Bamboo Snap combines a natural appearance with state of the art USB technology to bring you the best of both worlds! 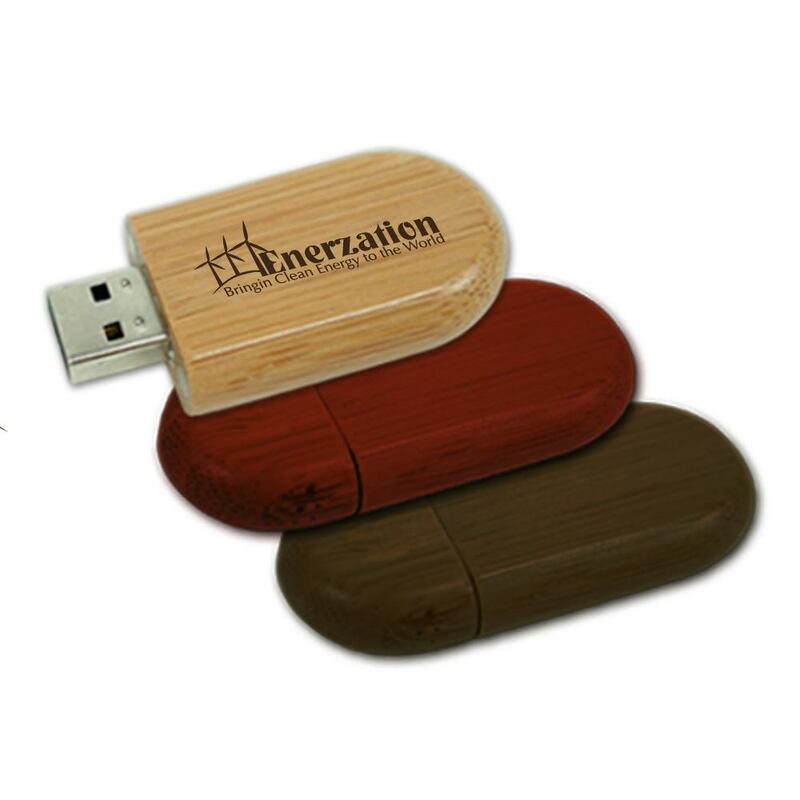 This custom drive is made with a smooth wood grain pattern and comes with a magnetic cap to keep your drive protected. It has a large imprint area that’s perfect for printing your logo on with our FREE 4-Color Silkscreen or Laser Engraving. It comes with FREE Data Preloading (up to 100MB). The Bamboo Snap is available with FREE shipping. You won’t have to wait long to get your hands on these beauties: They will be customized within 10 business days. " An eco-friendly solution to your data storage problems, our Bamboo Snap custom USB Drive combines natural beauty with state of the art technology to bring you the best of both worlds! This lightweight custom drive is smooth and rounded, with its wood grain patterns offering a high-contrast background for laser engraving your your custom logo or text. The Bamboo Snap comes with a magnetic cap and has a large imprint area that’s perfect for printing your logo on with our FREE 4-Color Silkscreen or Laser Engraving. Its compact size and rounded design makes it easy to carry in your pocket or briefcase. 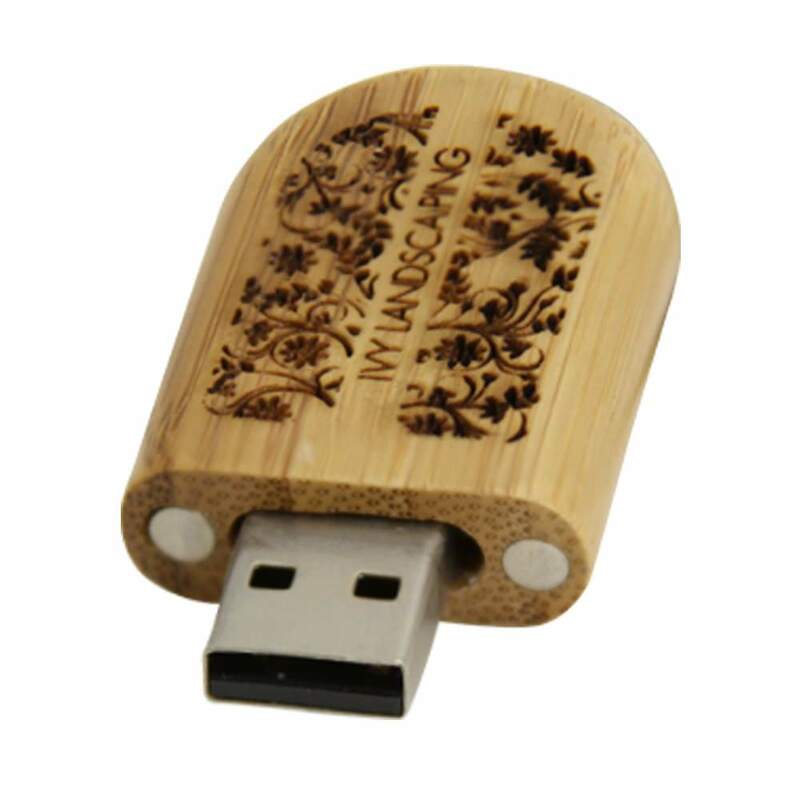 You can fill up the Bamboo Snap USB with 100MB of FREE Data Preloading. It has storage capacities ranging from 128MB to 32GB, so you’ll have plenty of room to load it up with all your essential documents, pictures, music, videos, multimedia, presentations, and other files. The Bamboo Snap comes with a shock resistance of 1,000G, up to 10 years of data retention, and a limited lifetime warranty. It is compatible with PC, Mac, and Linux. 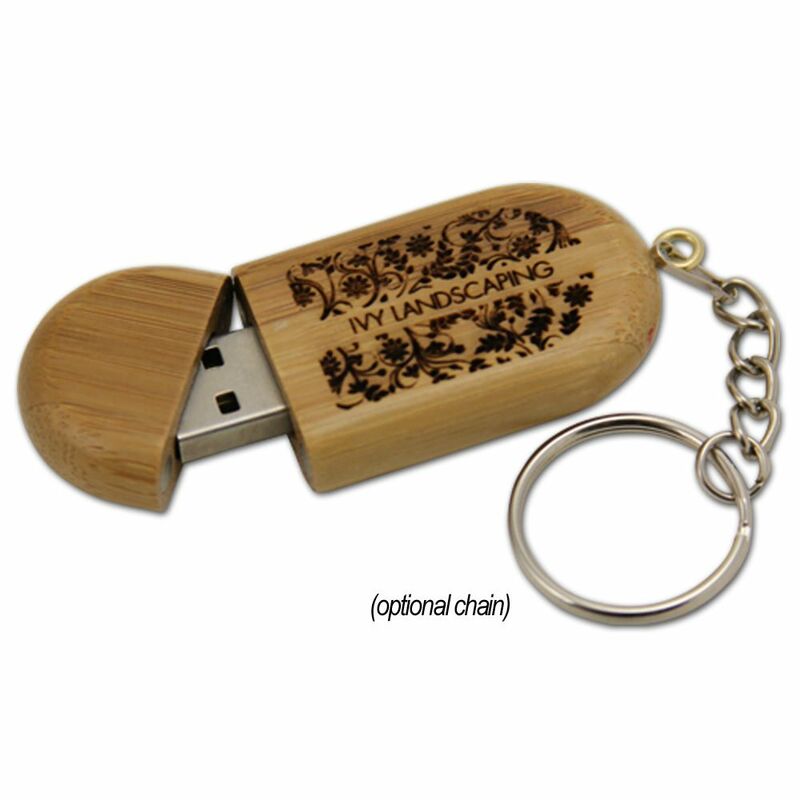 The Bamboo Snap custom USB is available with FREE shipping. Turn time for customizing this custom USB is within 10 business days.